This page would not exist if it were not for the hard work and diligence of an amazing person I recently met, both virtually (on Social Media) and in person: first in Spain and later in Poland. 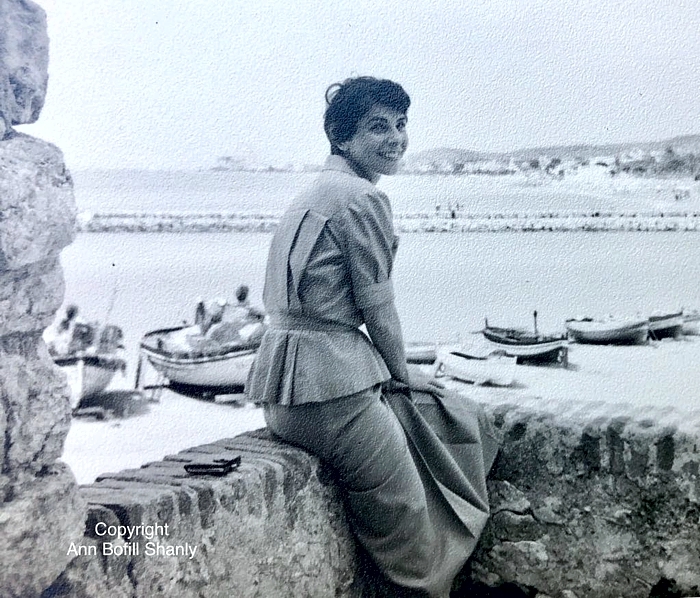 The person is Ann Bofill Shanly from a small Mediterranean town of Sitges – not far from Barcelona. Ann started to investigate the family of her late Godmother Jadwiga Szenhak and the great discovery she made was that Jadwiga Szenhak was a Jewish Holocaust survivor and … the granddaughter of Rabbi Izaak Cylkow’s sister! This discovery inspired Ann to search deeply and what you can find in this page, is a summary of her research as for mid 2018. Jadwiga Szenhak Maurizio. Sitges 1955. Photo and copyright by Ann Bofill Shanly. 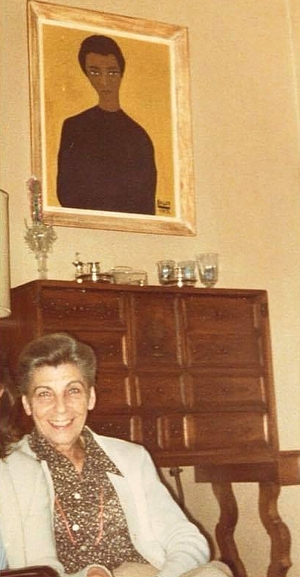 Jadwiga Szenhak Maurizio at her Spanish home in the 1980s below a painting of her by Carmen Soler. Photo by A.B. Shanly. 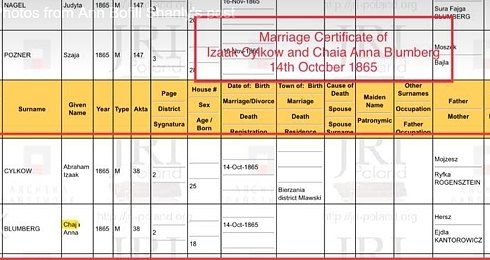 The key discovery Ann made, was that Jadwiga Szenhak was granddaughter of Eliszewa Cylkow (circa 1842), sister of Rabbi Izaak Cylkow to whom this site is devoted. Even before the escape to Spain, she learned Spanish (studied Roman languages) and later became famous in Spain for her translations of renown Polish science-fiction writer – Stanislaw Lem. In doing so, she followed her family tradition, from her great uncle Rabbi Cylkow himself, to Stanislaw Szenhak – her uncle. For many years, her translations were one of the best. If you can read Spanish, read about her translations here. If you read Polish, read about Jadwiga here. Jadwiga was married to an equally amazing and famous person: Marian “Dzik” Maurizio-Abramowicz, called among Polish climbers “Uncle Dzik” (Wuj Dzik). In 2015, a special exhibition was organized by the Tatra Muzeum in Zakopane honoring the life of Jadwiga and Marian Maurizio under the label “I will turn toward Tatra” (“Ku Tatrom się zwrócę”). Additionally, there were two previous exhibitions about them, one in Warsaw and one in Kraków, both in 2013. See the materials from the conferences here and there. 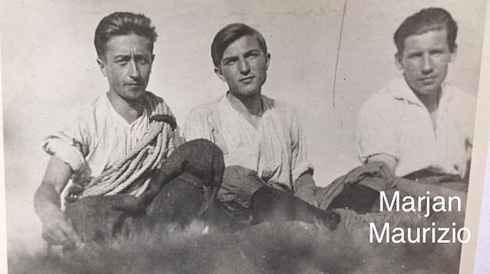 A young Marjan Maurizio-Abramowicz with his mountain climbing friends in Zakopane in the mid 1920s. Copyright of Ann Bofill Shanly. How were the discoveries made? The discovery of that amazing link was initiated when Ann, thanks to Public Records Office in Czestochowa (Archiwum Państwowe w Częstochowie) received the Birth Certificates of her Godmother Jadwiga Szenhak (1910) and those of her older siblings Wanda (1905) and Henryk (1909), children of Jozef Szenhak and Stefanía Weisblat, all three born in Czestochowa. Then, thanks to the Jewish Records Indexing (JRI) , she found the marriage certificate of Jozef Szenhak and Stefanía Weisblat. and granddaughter of Samuel Szenhak and Eliszewa Cylkow (~1842). Eliszewa (Polish: Elżbieta) Cylkow was sister of Rabbi Izaak Cylkow! It is important to note that Jadwiga’s grandfather, Samuel (Stanisław) Szenhak (1835-1913) was a renown Jewish scholar. 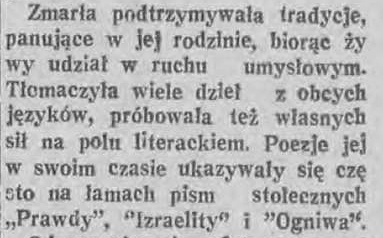 He was the author of highly acclaimed Talmudic dictionary (Hamashbir) and, among other works, translated into Polish the monumental “History of Jews” by Heinrich Graetz. He also cooperated with Rabbi Cylkow. 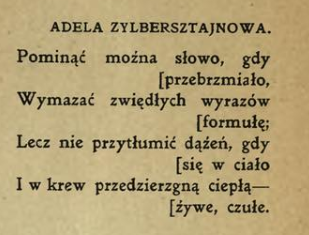 For example he wrote an introduction to his “Book of Job” translation to Polish language. 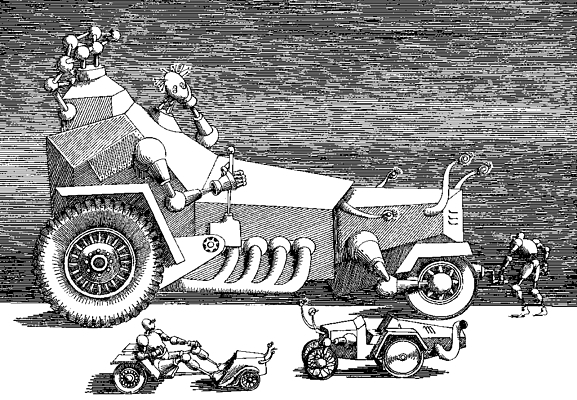 He was also an inventor with his own patents in the USA. See one of them here. 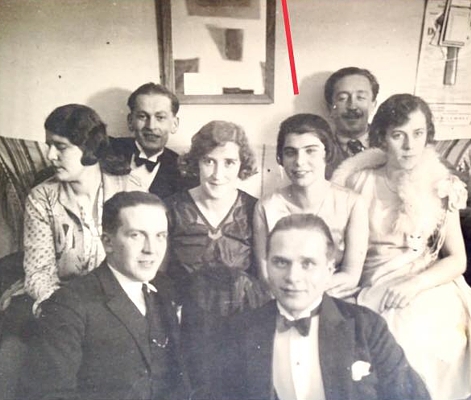 The line points to young Jadwiga at a party in Poland about 1930. Copyright of Ann Bofill Shanly. Tracing the family roots of Jadwiga Maurizio-Szenhak up to Rabbi Izaak Cylkow was just the beginning of many other incredible discoveries… Ann started to trace the archives and publications about the children of Rabbi Cylkow himself. These discoveries are really breathtaking! 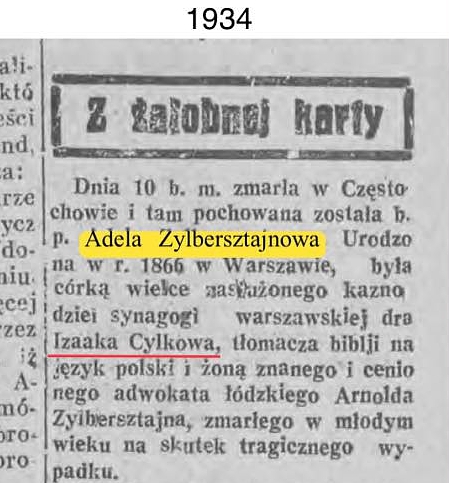 1934 obituary for Adela Zylbersztajn pointing to Izaak Cylkow – her father. 1934 obituary for Adela Zylbersztajn. Tribute to her literary activities. [ and alive, and tender. Please send the attached letter to my sister. I apologize for having caused you this embarrassment and I assure you of my sincere gratitude. Accept, Sir, my respectful tributes. 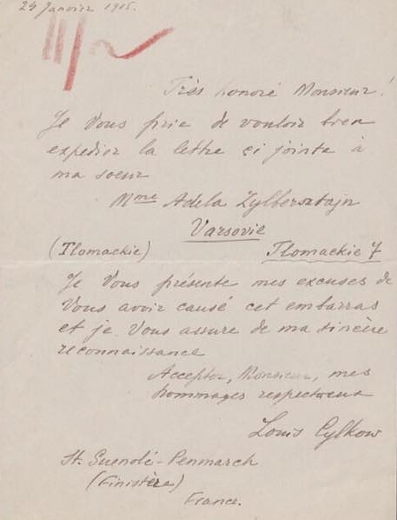 * Note that this letter was written in 1915, and that Izaak Cylkow’s family lived for many years at Tłomackie 7, where the Grand Warsaw Synagogue stood, even after the Rabbi died 1908. This is the key evidence that both Adela Zylberstein and Louis Cylkow were children of Rabbi Izaak Cylkow! Louis Cylkow (Ludwik in Polish) was born in Warsaw in 1877. He studied art in Cracow’s Jan Matejko Academy of Fine Arts, under the famous teacher and painter Józef Mehoffer. His painting debut also took place in Cracow in the renowned “Kraków Society of Friends of Fine Arts“. 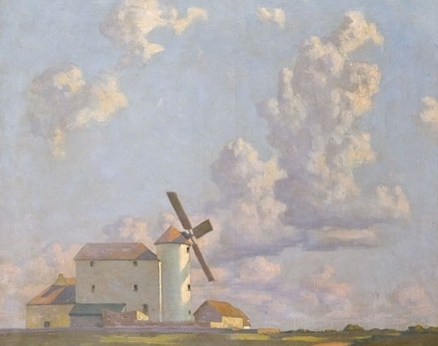 His paintings were exhibited in acclaimed galleries in Warsaw, such as “The Society for the Encouragement of Fine Arts” – (“Zachęta” in Polish), Aleksander Krywult and Abe Gutnajer. When he moved to France, he studied at the famous “Académie Julian“. See some of Louis Cylkow paintings at Artnet and Wikimedia. The next discovery made by Ann, was about Henryk Cylkow. It is highly probable that he was also Rabbi Cylkow son and brother to Adela and Ludwik, although this fact is not yet corroborated. Henryk Cylkow was born in Warsaw circa 1866, just one year after Rabbi Izaak Cylkow and Chaia Anna Blumberg had married. 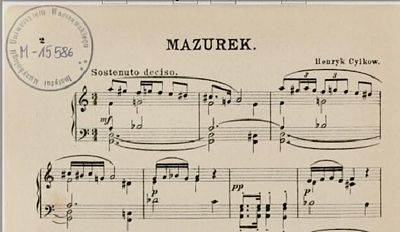 Henryk was a lawyer (the attorney at law) and … a composer and musicographer. As a composer he is known for many symphonic works, including Allegro appassionato (first performed in 1916 in Warsaw), The Song about the Sea (1917 Warsaw), the overture “After the Battle”, which won runner-up prize at the II-nd L. Kronenberg competition in 1921 and many more. 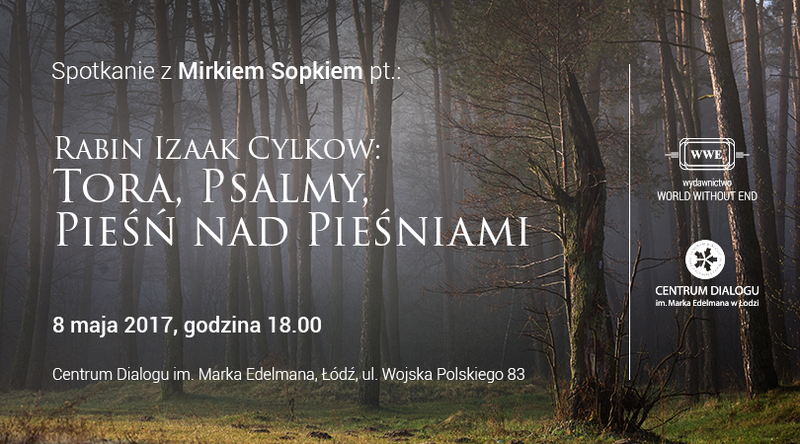 He also composed songs to the poetry of Adam Mickiewicz and many piano works, including five Mazurkas and Preludes. It seems that he developed his career as a composer when he was in his fifties. Rabbi Izaak Cylkow, was not only an accomplished translator of Hebrew Scriptures into Polish language. As seen on this page, he was also a great father who provided his children with a modern education, and supported them with an open mind, so they could excel in their choice of profession, be it arts, literature and (perhaps) music*. * As we noted above – Izaak’s Cylkow paternity of Henryk is pending corroboration.